was a member of the LL.M. in American Law Class of 2000 at Boston University School of Law (BUSL). During this year, he touched many people. His professors remember him well, as do his classmates. He was not only brilliant - he was an endlessly curious person who graduated first in his class - he was also a quiet leader. He was gentle and kind. He also had a subtle, dry sense of humor. After graduation Sebastian served as a teaching and research assistant for Professor Kokott in the Department of Public International, International Business and European Law at the University of St. Gallen in Switzerland. As part of this position Sebastian supervised a student team that participated in the Telders International Moot Court competition and graded exams for the University's Master of International and European Business Law (M.B.L.) program. 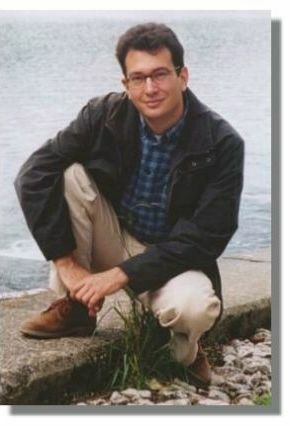 After serving as a session reporter at the conference of the International Law Association in New Delhi, Sebastian moved near Dusseldorf, Germany, in July 2002 to begin his Referendariat (German attorney's required practical training). In March 2004 he completed his final written exams as German lawyer. Tragically, Sebastian lost his life in March 2004 just before he was to begin a position with the German Embassy in South Africa. To commemorate our friend Sebastian, BUSL has established a fund in his honor. Income from the fund will be used to supplement the annual award given to the LL.M. in American Law student who has achieved the highest cumulative grade point average - an accomplishment that Sebastian achieved when he was a student at BUSL. "The Sebastian Horsten Prize for Academic Achievement" is presented at Boston University School of Law's annual commencement ceremony.